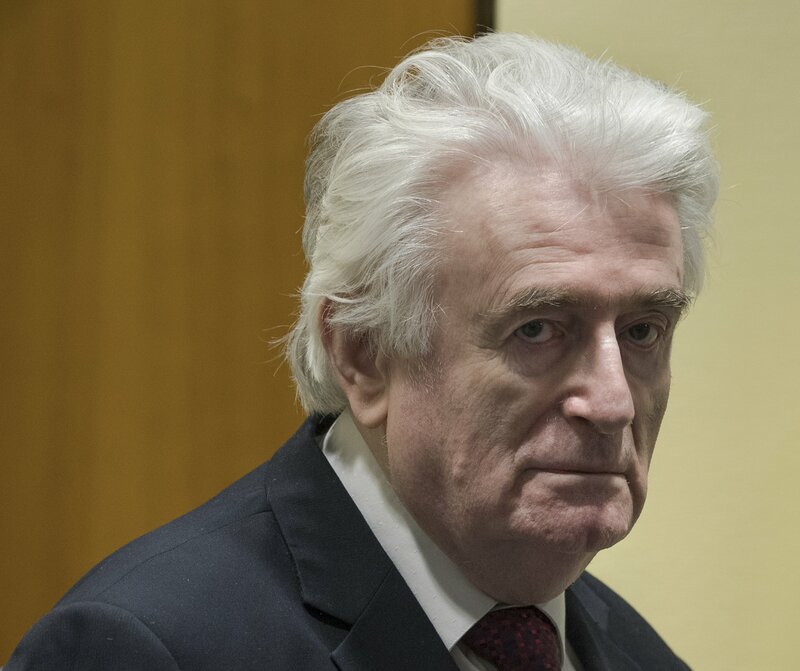 THE HAGUE, Netherlands — United Nations appeals judges on Wednesday upheld the convictions of former Bosnian Serb leader Radovan Karadzic for genocide, war crimes and crimes against humanity, and increased his sentence from 40 years to life imprisonment. Defense lawyer Peter Robinson said Karadzic vowed to fight on to clear his name. Robinson said Karadzic felt “moral responsibility” for crimes in Bosnia, but did not believe he was criminally responsible. Karadzic had appealed his 2016 convictions for genocide, crimes against humanity and war crimes, as well as his sentence for masterminding atrocities in his country’s devastating 1992-95 war — Europe’s bloodiest conflict since World War II. Joensen said the trial chamber was wrong to impose just a 40-year sentence given what he called the “sheer scale and systematic cruelty” of Karadzic’s crimes. Both men were convicted of genocide for their roles in the slaughter by Serb forces of 8,000 Muslim men and boys in the Bosnia’s eastern Srebrenica region in July 1995.